Just about the time it appears they have been proven false and dismissed, the same self-defense and gun myths pop again. Part of this is probably due to the fact there are always new people who finally realize they need to do something about their personal safety and begin seeking answers. Unfortunately, it is also due to the tendency of some people to pass on advice they have heard but never took the time to find out if it is really true. Since it sounds cool, it must be right. This is one of the many reasons why defensive shooters need to receive professional training. With a good, professional instructor, it is remarkable how many of these myths quickly fall by the wayside and are replaced by cold, hard facts. Let’s look at three of the old self-defense myths that just won’t die and discuss the truths they conceal. Myth No. 1: Hit him anywhere with a .45 and it will knock him down. 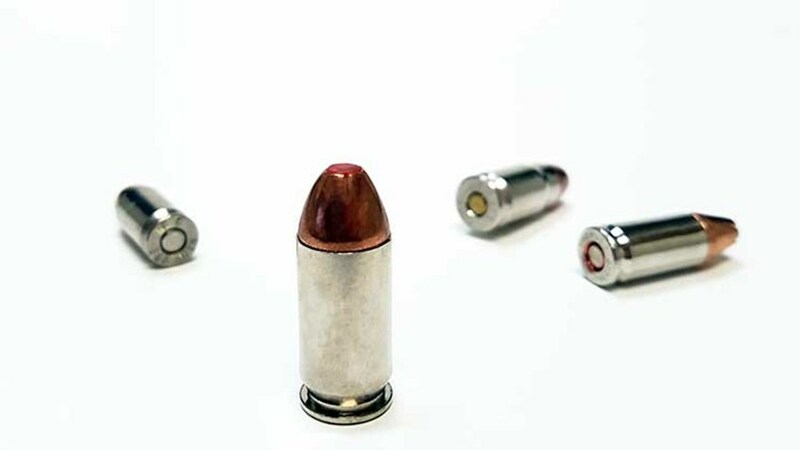 This myth probably started with the advent of the .45 Colt back in the 1870s, but it has been repeated most often when people refer to the .45 ACP. Nowadays, you will hear it touted regarding the .44 Mag., the .41 Mag., the .40 S&W or whatever new pistol cartridge that has just been introduced. The truth was discovered way back in 1687 when Sir Isaac Newton published his third law of motion. Newton simply stated that for every action there is an equal and opposite reaction. In other words, if a bullet shot from a handgun was so powerful that it could actually knock a person down, it would also knock the shooter down. There are a lot of reasons why a person who is shot may appear to fall down or even be knocked down. But, the truth is the force of the bullet striking him is not knocking him off his feet. That only happens in the movies and TV. In reality, a person who is shot with even a relatively powerful handgun may show very little indication of being hit. There will also be very little sign of blood, especially at first. Therefore, the defensive shooter should not rely on these as cues that the fight is over. The important thing is to recover from recoil, regain your sight picture and quickly re-evaluate the threat. If the criminal is still armed—whether or not he is on his feet—and if he appears to still be a threat, additional shots may be necessary. Just don’t expect the bad guy to go flying off his feet, because it probably won’t happen. The shotgun is an awesome firearm that is altogether too often overlooked by today’s defensive shooters. However, it is not a magic wand. People who claim you don’t have to aim a shotgun have simply never done patterning tests with their favorite defensive smoothbore. When shot exits a shotgun barrel, it does so in almost one solid mass. That mass is smaller than a man’s fist. It is only as the shot travels downrange that it begins to spread apart, and it spreads much more gradually than a lot of people expect. Whether you are using buckshot or birdshot, from 0 to 10 yards you should consider it to be one projectile. Actually, by about 7 yards the shot has begun to spread noticeably, but not as much as you might think. From 10 yards to about 25 yards, the average shotgun will deliver a pattern that will still stay on the chest area of a silhouette target. But, by 25 yards some of the pellets may stray off target. When dealing with a criminal at 25 yards and beyond, it’s time to think about transitioning to a slug. Instead of taking anyone’s word for it—mine included—the defensive shotgunner should run pattern tests using his shotgun from extremely close range out to 25 and 30 yards. He will also find his shotgun performs better with one brand of ammunition than others. There are a lot of reasons for this preference for particular loads, but the defensive shotgunner should know this occurs and make his selection accordingly. The smart defensive shooter will run tests until he knows which load his gun prefers and exactly what his shot pattern is doing at the ranges his shotgun could be called upon to perform. As ridiculous as this may sound, it is one of the self-defense myths that just won’t go away. A student brought it up once in a defensive pistol class. There are a couple of good reasons why this is a terrible idea. To begin with, most states determine the justification for using deadly force as being a reasonable response to prevent immediate death or serious bodily injury. Therefore, if a person is justified in defending himself inside his home, he is also justified in defending himself in his yard, because he is under an immediate attack in which he could be killed or seriously injured. This varies from state to state, so check your own state’s laws before determining your home-defense plan. The second, equally important, reason is the crime scene will quickly make a liar out of you. Any investigator worth his salt will know within five minutes that you moved the body. And, if you’re lying about that, you are probably lying about everything else. It is the quickest possible way to go directly to jail. Protecting yourself in a completely justifiable shooting can get expensive. So can lying to the police about a shooting. Part and parcel to obtaining a defensive firearm should be obtaining advice from a criminal defense attorney. He can tell you what your state laws are, how they are interpreted in court and the limitations regarding the use of deadly force and how they apply to a legally armed citizen. Getting that sort of advice from the guys down at the bar or from an Internet commando is a sure-fire recipe for disaster. This entry was posted in Ammunition, Concealed Carry, Personal Defense, Second Amendment and tagged .45 ACP, 1911, ammo, gunsite, shooting illustrated. Bookmark the permalink.